I hate flies. Living in a dry climate is helpful, but late in summer the flies start to multiply and collect. They often haunt the windows, banging their disgusting bodies against the glass repeatedly, trying to escape to the outdoors. Flies are carrion creatures, feeding on dead things, excrement and other unmentionable rotting items. They have a role in the ecosystem, I suppose, but not one that I want to personally witness. Fortunately, most flies don’t bite, but some do. I remember going to Lake Michigan as a child and my brother and I fending off the “horse flies” that attacked any part of me not submerged in the water. Fly bites, while not as itchy as mosquito bites, actually hurt more. I don’t know what the flies were doing, but their blood-sucking plungers must have been higher caliber than the mosquitoes’ delicate straws. In reading Aesop’s Fables to my children in combination with teaching the Book of Sirach, I came across a theme that I had never noticed before: flies are blood-drinkers! I wondered if this little insight could link up a few disparate concepts in the biblical world, namely, carrion flies, the prohibition on blood-drinking in the OT law, the portrayal of enemies as bloodthirsty and most fun of all the identity of Baal-zebub, “lord of the flies.” Well, let’s try it on for size. First, Aesop! “The Fox and the Hedgehog” mentions a “swarm of blood-sucking flies,” who are “full of blood” and who plan to “drink up all the blood I have left.” Also, “The Bald Man and the Fly” introduces a controversy between a bald man and a fly who bit his bald head. The bald man derides the fly as one who “live[s] by sucking human blood.” The flea who stars in “The Flea and the Ox” brags about how he lives on human bodies and “drink[s] my fill of their blood.” In “The Bald Man and the Gardener,” the gardener insults the bald man and wishes that flies might “bite you and drink your blood and poop on your head.” I hope that’s enough examples to convince you that flies as blood-drinkers is a common trope in Aesop. I wouldn’t be surprised, if we looked longer and deeper at Greco-Roman literature if we could find many more examples of blood-drinking flies. But now, the Bible! Leviticus 17:10 threatens that anyone who “eats blood” will be cut off from the people of God. King David, whose extreme thirst was provided for by a few of his bravest soldiers at the risk of their lives, refuses to drink the water they give to him since it would be tantamount to blood-drinking. Instead, he poured out the water as a libation and said, “Shall I drink the blood of the men who went at the risk of their lives?” (2 Sam 23:17 ESV). 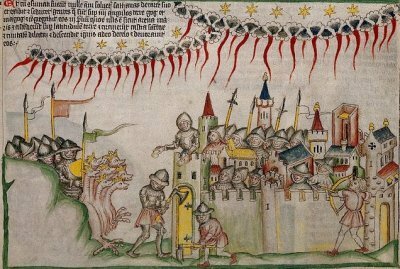 This event is memorialized again in the non-biblical 4 Maccabees 3:15, where David “considered it an altogether fearful danger to his soul to dirnk what was regarded as equivalent to blood” (RSV). Also see Josephus, Ant. 7:314. Sirach 12:16 portrays an enemy whose “thirst for blood” is “insatiable.” The nonbiblical 4 Esdras 15:58, describing the sorry plight of sufferers, who “drink their own blood in thirst for water.” Zech 9:15 in the LXX as least in certain manuscripts refers to soldiers who will “drink their blood like wine.” Ezekiel envisions the carrion birds drinking the blood of the dead after the grand battle against Gog and Magog (Ezek 39:17-19). And of course, the Lord turns normal water into blood to make it undrinkable a few times (Exod 7:21; Ps 78:44; Rev 16:6). The nonbiblical Book of Enoch also refers to giants eating people and “drink[ing] the blood” (7:5). The Bible also uses a phrase, ish-damim, which literally means “man of bloods.” Usually it is translated as something like “bloodthirsty men.” We see the exact phrase in 2 Sam 16:8 and Ps 5:7. A similar phrase, anashe-damim, “men of bloods,” shows up in Ps 26:9, 55:23, 59:2, and Prov 29:10. The point is that nasty, violent men seek out the blood of other people. You know, kinda like flies! Flies are bloodthirsty and so are violent men. 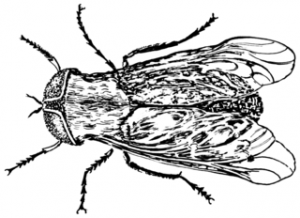 Flies show up in the Bible as a divine curse (ha!) sent against the Egyptians in Exodus 8:20-32. They come as a “swarm,” but the text says nothing about blood. 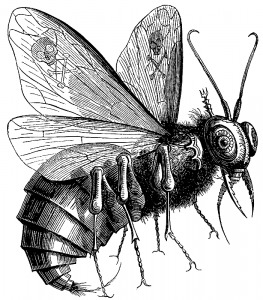 The Hebrew word for “fly,” zebub, is only used twice in the Hebrew Bible (Eccl 10:1 and Isa 7:18). However, the term “Baal-Zebub” does show up in 2 Kings 1:2, 3, 6, and 16. This god of Ekron plays a minor role in the narrative of Elijah’s relationship with Ahaziah, but the term underlies the “Beelzebul” who shows up in Jesus’ disputes with the Pharisees as the name of a demon or an alternate term for Satan. “Baal-zebub” means “lord of the flies,” or as the TDOT puts it “lord of filth,” perhaps beacause the offerings which the god consumes are regarded as ritually polluted and therefore disgusting. The term could show up in the fragmentary Qumran text 4Q560. Creepily, the female demon Lilith, Adam’s first wife in Jewish mythology, “could enter the rooms of pregnant women as a fly.” So flies, since they are blood-drinkers, consumers of ritually impure sacrificial offerings, are associated with the demonic. 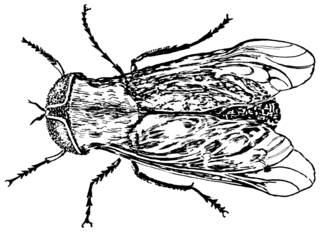 Flies were regarded as suspicious, demonic and violent because their habit of drinking human blood. Drinking blood was forbidden in biblical law not only because of its associations with magical practices of uniting oneself with an animal’s spirit (the typical explanation), but because it mirrored the carrion activity of flies. Demons, since they also seek to violently destroy human beings, are also “fly-like” in their desire for human blood. I have to admit I didn’t think that Aesop’s fables would lead me down such a dark and scary path! It does seem like Dracula is staring back at us from what I’ve concluded here. 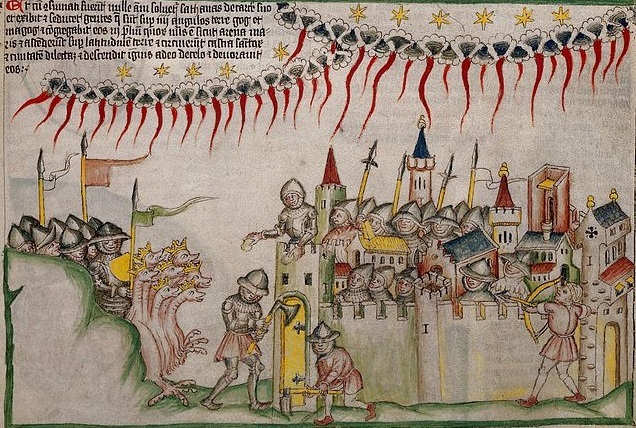 The blood-drinking of vampires then appears “fly-like” and therefore also demonic. The connection between violence, flies, and demons on the basis of blood-drinking now makes more sense to me, but I do think it will give me pause when reading seemingly innocent old tales to my children. Hopefully, we can keep those pesky “horse flies” away! Penney, Douglas L, and Michael O Wise. “By the Power of Beelzebub: An Aramaic Incantation Formula from Qumran (4Q560).” Journal of Biblical Literature 113 (1994): 627–50, here 634. This entry was posted in Old Testament and tagged Ancient Near East, Dead Sea Scrolls, manuscripts on April 5, 2019 by catholicbiblestudent. Study as a Spiritual Exercise in Judaism and Protestantism—but not Catholicism? One of the biggest differences between Catholicism as it is actually practiced and the parallel spiritual traditions of Jews and Protestants is the almost total absence of study as a spiritual exercise. 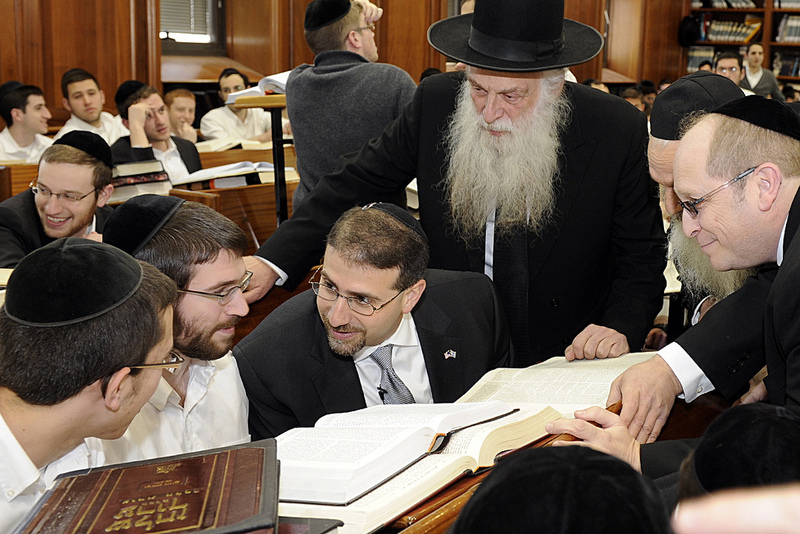 For Jews from ancient times to now, the way to express devotion to God was to study the Torah. All other intellectual labor is forbidden on Sabbath, but Torah study is upheld as a worthy goal, a shining ideal especially on Sabbath. This study, however, is not carried out in isolation, but in vigorous conversation and even argument with fellow Jews. The place to grow closer to God is not just at synagogue prayers, but in the Beit Midrash, the House of Study—a room full of books: Torah, Talmud and other Jewish sources. What happens during Torah study is not an idle, passive, quiet reading, but a lively interpersonal exchange of opinions, a comparison of interpretations, an open-ended dialogue in which participants take positions and defend them, pose questions and pursue their answers. Even the rabbinic sources themselves unfold in a dialogic pattern, where they offer up a multitude of contrasting opinions about the interpretation of various biblical passages. This study, this argumentation, this exchange of opinions is one of the highest spiritual exercises of the Jewish faith, upheld as the ideal to be sought. In Protestantism, we find a similar focus on the Word. While it is true that the Protestant world is dynamically fracturing before our eyes, one of the basic concepts of Protestant piety is a serious attention to the Bible. The way one gets closer to God is not merely through silent prayer or singing worship songs or hymns, but through detailed and intellectual engagement with the Sacred Page. For Protestant practice writ large (with obviously unending diversity in how it is actually done), one studies the Bible in order to spiritually grow. You bring your Bible to Church with you. The sermon is exegetical in focus, a deep Bible study by an expert interpreter (your pastor), and hopefully long enough to feel like a satisfying lesson (maybe an hour). If you want to go to the next level of commitment, the choice is clear: join a Bible study. There, while yes you might share about your life and hear about others, the ostensible goal is a deep and intellectual engagement with Scripture in the context of a community. If you attend a well-run Protestant Bible study, you won’t find a sleepy, tired reading, but an active conversation, a communal wrestling with the meaning of the text. While the Talmud will not be consulted, participants might be looking at Study Bible footnotes, commentaries and other works to help them understand as they read, converse and engage with both the text and one another. Catholics, however, suffer from a certain intellectual apathy about such things. Our tradition (again, as it is typically practiced) prizes doctrinal conformity, silent prayer and receptivity. These are hugely important values in our spiritual practice, yes. They lead to receiving Scripture, Tradition and the Church itself as gifts from God, but these tendencies can lead us into a false passivity. While some Catholic Bible studies have followed the Protestant model and become engaging intellectual communities, the general trend in Catholic practice is less intellectually vigorous. That is, a diversity of views, a robust exchange of opinions over the meaning of the sacred text is not regarded as a spiritual exercise, but as an educational one. 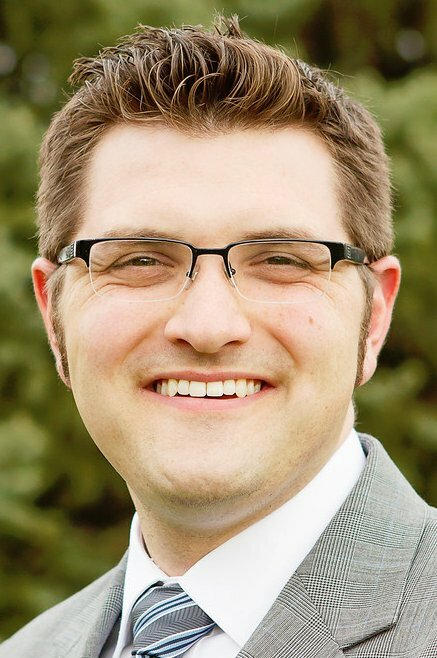 Bible study groups and other types of small groups might be accepted, but they are viewed as community events, educational opportunities, while the “real prayer” happens at Mass, in adoration or at the retreat house. Homilies tend to be very short and typically shy away from serious exegesis of Scripture—a serious departure from the example of the Church Fathers. This situation that has developed in the Catholic realm has produced a prejudice against an intellectual engagement with the faith. I view it as a latent anti-intellectualism we American Catholics inherited from an early twentieth century social location of poorly-educated Catholic immigrant communities that prized conformity and eschewed intellectual distinctions in order to maintain their minority identity over-against the prevailing Protestant world. But in an era where more and more people are attaining high degrees of education, it is hard to maintain a merely sentimental engagement with Catholicism. The deep things of faith, which only are considered in the context of study, questioning, argument and dialogue, are often left on the table, or the bookshelf. Few parishes have theological libraries for parishoners. Few homilists offer serious and lengthy exegesis. Few Catholics own a Study Bible. This entry was posted in Study Habits and tagged Study Habits on March 14, 2019 by catholicbiblestudent. What is a Garden Like? The Bible mentions quite a few famous gardens: the Garden of Eden, the Garden of Gethsemane, the, the metaphorical garden in the Song of Songs, the vegetable garden of King Ahab. I think that our imagination of what a garden is like is too informed by modern values and doesn’t get the garden image quite right. When we hear the word, “garden,” we envision a small vegetable garden in the corner of a suburban yard or maybe a flower bed in front of Grandma’s house, when for the ancients, a garden would be exotic, expensive, private, and royal. The point of these examples is to show that gardens and kings go together. Gardens are luxury items, like having a swimming pool or putting green in your backyard. Not only that, but gardens likely require professional maintenance by full-time gardeners. Ok, so not absolutely every garden-owner was a king, but you’d at least have to be “very rich” (Daniel 13:1||Susanna 1:4). Gardens are not just for veggies and flowers, but also for tombs, especially tombs of kings. We find corroboration for this in an Egyptian “necropolis garden” (ANET 22). The “palace garden” of Ahasuerus in Susa, where the king himself eats lunch al fresco with his queen, would not be a public park. It would be a private enclave for the king alone, sort of like the papal gardens at Castel Gandolfo. What hints do we have to show gardens were private? 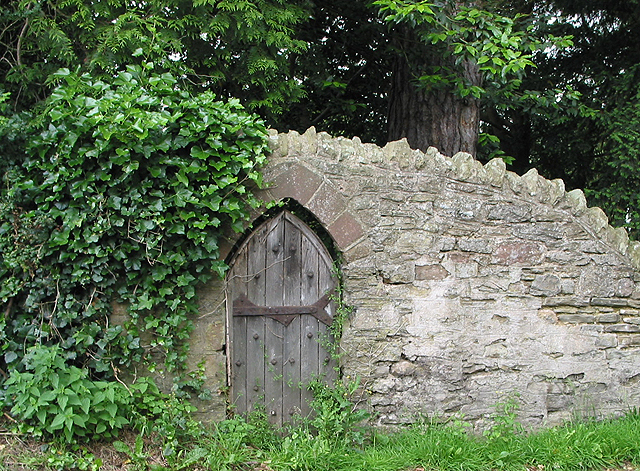 If a garden can be “locked” or bolted shut, then it must have doors. If the doors are to be meaningful then they must be part of a wall. So rather than thinking of your Grandma’s strawberry patch, we should be thinking more of the “Secret Garden.” Biblical gardens are not just the domain of royalty, they are private and behind walls with lockable doors. This little insight would actually shift the translation of Song of Songs 5:1. Most English translations render ba’ti as “I come” or “I am come” or “I have come.” But that translation envisions the garden as an unwalled space that could be arrived at from any direction. The better translation here is not only closer to the dictionary definition, but respects the private and walled nature of ancient biblical gardens: “I enter…” Only the NET Bible gets it right with “I have entered…” The ancients would envision the speaker walking through a door in a stone wall, not just straying into a pumpkin patch. If you are going to have a successful garden in an arid climate, you need a spring, river or other source of water. 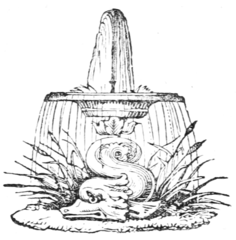 The Bible celebrates the “garden fountain, a well of living water” (Song 4:15), the “watered garden” (Isa 58:11; Jer 31:12), water channels that drench a garden (Sir 24:30-31), even a river in the Garden of Eden (Gen 2:10). Gardens also must have enough water to take a bath (Daniel 13:15||Susanna 1:15). The “watered garden” is also mentioned in other ancient Near Eastern literature (ANET 577, 641, 649). In addition, royal gardens were celebrated for their exotic spices, flowers and trees (e.g. Song 4:14). The Bible repeatedly portrays the Promised Land as a new Garden of Eden. Lot looks out over the land and sees that it “was well watered everywhere like the garden of the Lord” (Gen 13:10 RSV). Similarly Moses will contrast the Promised Land to Egypt and explain how the new Land is so much better, it “drinks water by the rain from heaven” and is cared for directly by the Lord himself (Deu 11:10-12). This concept comes up again a few times when the land is called “a garden land” (Mic 7:14) or “like the garden of Eden” (Joel 2:3). The Garden of Eden is the ideal, but the Promised Land does a good job approximating its flourishing bounty. The Garden of Eden is also called the “garden of Yhwh” (Gen 13:10; Isa 51:3) and the “garden of Elohim” (Ezek 28:13; 31:8-9). The Garden of Eden was the place where Yhwh dwelt—similar to a garden being the site where the Ugaritic god, El, dwelt. El’s garden is also the site of the Ugaritic divine council, where multiple gods meet to discuss (See ABD, “Garden of God”). A river rushes out from Eden, so it makes sense that a river should also rush out from the Temple (Ezek 47; Zech 14; Joel 4). While the temple in Jerusalem is rarely compared to a garden in a direct manner, it does happen: He has broken down his booth like that of a garden, laid in ruins the place of his appointed feasts (Lam 2:6 RSV). The walls of the garden and the fact it has a door make it feel like a building, like a temple that is open only to the heavens. God dwells in the garden and so God dwells in the temple, where he is worshipped. The Jerusalem temple took advantage of these garden motifs in its decoration, with two bronze pomegranate “trees” for pillars, with a huge basin of water and, of course, with walls and a door. Eden is Yhwh’s “natural temple,” the garden where he is king, while the Temple is a kind of “artificial Eden” where he chooses to dwell. The king’s gardener then is a foreshadowing of a temple priest. So, next time you come across the word, “garden,” in the Bible, remember that we’re not talking about roses or cucumbers, but about a private, walled, royal garden with a spring-fed fountain. The garden’s walls make it feel like a temple and it is a place where God dwells, the place from which the water of life goes gushing forth. 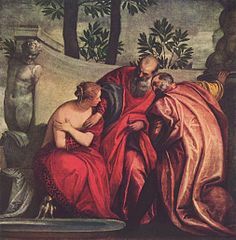 This entry was posted in Old Testament and tagged Ancient Near East, Archaeology, Genesis, Song of Songs on July 2, 2018 by catholicbiblestudent. Ok, I just came out of a theological rabbit hole of sorts. I suppose it’s trivia, but I thought I’d share it here. The piece of trivia is as follows: that according to St. Bede the Venerable and St. Thomas Aquinas, certain saints receive special heavenly rewards referred to as “aureolae” or “little crowns.” Now it’s important to say that the Catholic vision of heaven is always graded rather than flat. Instead of everyone receiving the exact same level of beatitude, the saints in heaven will vary according to their various virtues and the depth of openness to grace. While “our merits are God’s gifts” (CCC 2009), it is true that according to the Church’s teaching different persons merit at different levels, so Heaven is not a flat land, but a variegated terrain. We see this principle on display in Dante’s Paradiso which describes Heaven as concentric rings, where the holiest saints are closest to God at the center. Enough of the text…onto the Interpretation! Bede offers two different readings—one in a gloss and one in his work, On the Tabernacle. 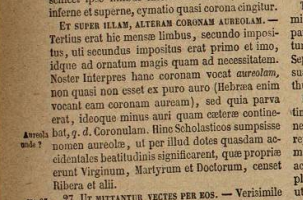 In the gloss, he identifies the “aureolam” of Exod 25:25 with the physical crown that all the blessed will receive when they are reunited with their bodies. This first idea is a general description of the glory which all the redeemed will receive, not a special privilege. However, in the work, On the Tabernacle, he identifies the auroelam as the special honor that will be received by Virgins ([CCSL 119A], Bk. 1, ch. 6). This same concept shows up in the Summa Supplement 96, which is taken from this chunk of Aquinas’ “On the Sentences”. The main idea is simple: that virgins, martyrs and doctors will receive a special reward, a special aureole or “little crown” which will be a sign of special honor over and above the “aurea” or the crown which every saint receives. Rather than relegating this idea to the dust bin of ecclesiastical trivia, I think that it helps in a couple ways. One, the aureole actually shows up in Christian art all the time. Whenever you see a virgin, martyr or doctor with a halo in an icon or stained glass, that’s an aureole, a special reward from God for their particular merit. Two, the idea of the aureole helps explain why certain saints are celebrated in certain ways. Doctors of the Church get officially proclaimed by the Pope. Martyrs get red vestments on their feast days. Virgins are celebrated as virgins in the official liturgical texts. While one might question whether such a broad Church tradition can truly be rooted in the text of Exodus 25:25, it is a beautiful example of how Christian interpretation sometimes is more a creative re-weaving of Scripture and Tradition rather than a literal submission of Tradition to Scripture. 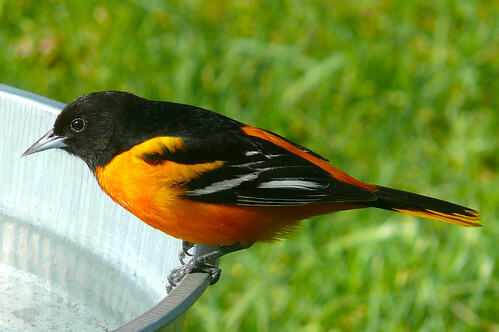 Not only that, it gives us the etymology for a certain famous bird that is somehow related to baseball. This entry was posted in Old Testament and tagged Aquinas, Church teaching, theology on June 18, 2018 by catholicbiblestudent. Myth #1: Half of All RCIA Converts Are Missing a Year Later. Myth #2: The New Evangelization Is All About Re-evangelization. Myth #3: The Catholic Church Is Sliding into Oblivion. Myth #4: It’s All our Fault! Shift #1: Schmoozing Is a Contact Sport. Shift #2: Do Not Focus on “Drag Back” Programs. Shift #3: Get Away from Apologetics and Go Toward Witness. Shift #4: Get Better Data! So, read the article and let me know what you think! This entry was posted in Evangelization, Theology and tagged Church teaching, my writing on May 8, 2018 by catholicbiblestudent. As far as I could tell, nobody has brought up this Mishnah text in conjunction with the mysterious toilet discovered at Tel Lachish, which according to chemical analyses was apparently never used for its practical purpose. That could mean it was a symbolic desecration, a pretend toilet. Or perhaps the analysis isn’t perfect. I’m not sure if there’s a connection, but if this Mishnah tradition is authentically relating ancient pagan practice, then Hezekiah’s toilet could be upended. Er…that is, the toilet-in-sanctuary might not be a means for desecrating the sanctuary, but rather for actually worshipping the god of that sanctuary through, um, defecatory means. I suppose we can be thankful that the means of worship have significantly changed since ancient times! This entry was posted in Old Testament and tagged Archaeology, Israel on April 26, 2018 by catholicbiblestudent. As is well known, she had an invisible engagement ring from Jesus on her finger that only she could see (p. 50) and she had the stigmata that no one could see. Catherine cared for a woman with breast cancer named Andrea. 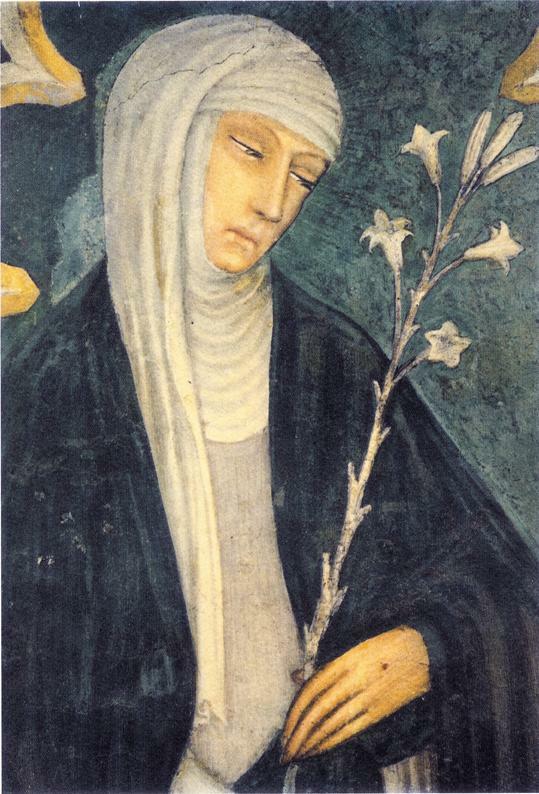 To overcome her revulsion at the patient, against Andrea’s protestations, Catherine touched her mouth to her cancerous sores and even drank a bowl of water that had been used for washing her sores (p. 79). The next day, Catherine had a profound spiritual revelation where she was invited to drink from the side of Christ. Her face transformed into the face of Jesus (still with Catherine’s voice) in the sight of her spiritual director, Fr. Raimondo (pp. 154-55). 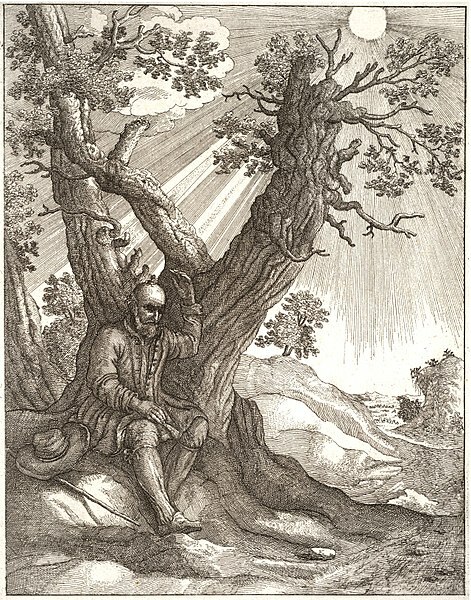 “Oh, sweet and true knowledge, which dost carry with thee the knife of hate, and dost stretch out the hand of holy desire, to draw forth and kill with this hate the worm of self-love–a worm that spoils and gnaws the root of our tree so that it cannot bear any fruit of life, but dries up, and its verdure lasts not! For if a man loves himself, perverse pride, head and source of every ill, lives in him, whatever his rank may be, prelate or subject. If he is lover of himself alone–that is, if he loves himself for his own sake and not for God–he cannot do other than ill, and all virtue is dead in him. Such a one is like a woman who brings forth her sons dead. And so it really is; for he has not had the life of charity in himself, and has cared only for praise and self-glory, and not for the name of God. I say, then: if he is a prelate, he does ill, because to avoid falling into disfavour with his fellow-creatures–that is, through self-love–in which he is bound by self-indulgence–holy justice dies in him. For he sees his subjects commit faults and sins, and pretends not to see them and fails to correct them; or if he does correct them, he does it with such coldness and lukewarmness that he does not accomplish anything, but plasters vice over; and he is always afraid of giving displeasure or of getting into a quarrel. All this is because he loves himself. Sometimes men like this want to get along with purely peaceful means. I say that this is the very worst cruelty which can be shown. If a wound when necessary is not cauterized or cut out with steel, but simply covered with ointment, not only does it fail to heal, but it infects everything, and many a time death follows from it. This entry was posted in My Inspirations and tagged pope, saints on March 16, 2018 by catholicbiblestudent. I got one! 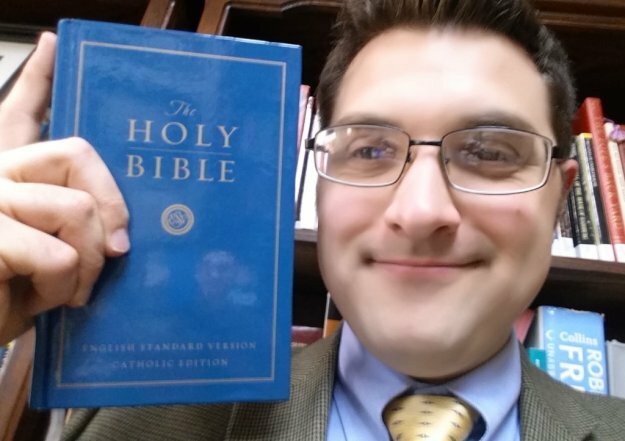 Yes, I think I might be the only Catholic in the United States to hold in my hands the new English Standard Version Catholic Edition Bible (ESVCE). Through my super-secret trading channels, I was able to secure one and now will offer a review and a backstory, just for you, my faithful reader. The Bible is printed on thin, high quality Bible paper in a very readable font. It feels just right in the hand—a bit smaller in form factor than your typical Bible with smallish print throughout. It contains a short Foreward, a Preface, a few grayscale maps and a chart of weights and measures. Thankfully, these materials explain the exact texts on which the translation was based. Catholic students of the Bible (who both read and write this blog!) have been arguing for years round and round about whether the RSV or NAB is better. Not only that but bishops’ conferences in the English-speaking world have been going round and round about which translation to use at Mass. The old Douay-Rheims translation (and its “Confraternity edition” followups) was discarded as antiquated after the Second Vatican Council. Besides, the old D-R was based on the Vulgate and did not take the Greek and Hebrew witnesses seriously. But after discarding the Douay, bishops were left with a problem on their hands. Fortunately, for American Catholics, the U.S. bishops had commissioned the Catholic Biblical Association of America to produce a new translation back in 1943, after the publication of Pope Pius XII’s encyclical, Divino Afflante Spiritu. It’s an odd footnote to biblical history that the CBA had originally been commissioned to produce a new translation from the Latin Vulgate which was scrapped after Pope Pius XII encouraged recourse to the original languages (see paragraphs 14-16). The encyclical, which was drafted by biblical scholar Augustin Bea (later a cardinal), insisted that “we [ought] to explain the original text which, having been written by the inspired author himself, has more authority and greater weight than any even the very best translation, whether ancient or modern” (§16). This one line, along with the developing knowledge of biblical languages promoted by the Pontifical Biblical Institute, was instrumental in getting Catholics off the couch and into Greek and Hebrew courses. It sidelined Vulgate-only translations and insisted on fidelity to the original languages (Hebrew, Aramaic, Greek) in new translations. The Jerusalem Bible is too inexact, preferring dynamic equivalence over word-for-word translation. Same goes for its update, the NJB. The RSV is too old (from about 1950) with too many “thees” and “thous”. The NRSV has too much gender-inclusive language. Many complain about the NAB/RE, but frequently the complaints are directed at the New Testament footnotes in addition to the translation itself. The ESVCE gives the bishops conferences a new option and indeed, several English-speaking bishops conferences have reached out to the Indian bishops to explore the possibility of using the new ESVCE lectionary in their countries. To understand the backroom politicking at work, we must at least nod at some big decisions at the Vatican. After Vatican II, the English-speaking bishops set up the International Commission on English in the Liturgy (ICEL) to translate liturgical texts—including the Roman Missal, the Liturgy of the Hours, the Roman Martyrology and so forth. However, Bible translations, while often handled separately, had to be approved in the form of Lectionaries. In 2001, the Vatican issued a document entitled Liturgiam Authenticam which laid down rules for liturgical translations, which included Lectionaries. The Congregation for Divine Worship issued a new edition of the Latin missal in 2002,which served as the basis for the translation of the liturgy released in 2011. In order to implement Liturgiam Authenticam in the English-speaking world, the Vox Clara Commission was set up to oversee the work of ICEL (an angry history of it HERE). The Vox Clara Commission included some well known conservative churchmen (George, Pell, Olmstead). Notably, it also included Cardinal Oswald Gracias, who gave the imprimatur to the ESV-Catholic Edition and wrote the foreward. Recent news has seen Pope Francis moving to roll back a bit of the centralization of translation. Prov 18:24 There are friends who bring ruin, but there are true friends more loyal than a brother. There are friends who pretend to be friends, but there is a friend who sticks closer than a brother. A man of many companions may come to ruin, but there is a friend who sticks closer than a brother. Eph 5:3 Immorality or any impurity or greed must not even be mentioned among you, as is fitting among holy ones, But fornication [2CE: immorality]and all impurity or covetousness must not even be named among you, as is fitting among saints. But sexual immorality and all impurity or covetousness must not even be named among you, as is proper among saints. Isa 9:6 For a child is born to us, a son is given to us; upon his shoulder dominion rests. They name him Wonder-Counselor, God-Hero, Father-Forever, Prince of Peace. [v. 5] For to us a child is born, to us a son is given; and the government will be upon his shoulder, and his name will be called “Wonderful Counselor, Mighty God, Everlasting Father, Prince of Peace.” For to us a child is born, to us a son is given; and the government shall be upon his shoulder, and his name shall be called Wonderful Counselor, Mighty God, Everlasting Father, Prince of Peace. Gen 1:2 and the earth was without form or shape, with darkness over the abyss and a mighty wind sweeping over the waters The earth was without form and void, and darkness was upon the face of the deep; and the Spirit of God was moving over the face of the waters The earth was without form and void, and darkness was over the face of the deep. And the Spirit of God was hovering over the face of the waters. Mark 10:9 Therefore what God has joined together, no human being must separate. What therefore God has joined together, let not man put asunder. What therefore God has joined together, let not man separate. Gen 18:11 and Sarah had stopped having her menstrual periods it had ceased to be with Sarah after the manner of women The way of women had ceased to be with Sarah. Matt 5:28 But I say to you, everyone who looks at a woman with lust has already committed adultery with her in his heart. But I say to you that every one who looks at a woman lustfully has already committed adultery with her in his heart. But I say to you that everyone who looks at a woman with lustful intent has already committed adultery with her in his heart. Rom 9:5 …theirs the patriarchs, and from them, according to the flesh, is the Messiah. God who is over all be blessed forever. Amen. …to them belong the patriarchs, and of their race, according to the flesh, is the Christ, who is God over all, be blessed for ever. Amen. To them belong the patriarchs, and from their race, according to the flesh, is the Christ, who is God over all, blessed forever. Amen. Sir 22:3 An undisciplined child is a disgrace to its father; if it be a daughter, she brings him to poverty. It is a disgrace to be the father of an undisciplined son, and the birth of a daughter is a loss. A father’s disgrace is in the birth of an undisciplined son, and the birth of a daughter is a loss. Obviously, I could go on listing examples forever, but here I will stop. The long and short of these examples is that the ESV preserves both accuracy and decorum with beautiful English in the King James tradition while updated with the most recent manuscript evidence. It’s important to note that the ESV preserves the typical English verse numbering (along the lines of KJV, RSV, etc.) rather than reverting to the Hebrew numbering, which the NABRE tries to do. The Old Testament is translated from the Biblia Hebraica Stuttgartensia and the Göttingen Septuagint. The New Testament is translated from the Novum Testamentum Graecae, Nestle-Aland, 28th Edition. Tobit is a textual anomaly, so they used “the longer Greek text (Sinaiticus) supplemented by the shorter Greek text (Vaticanus) and the Old Latin version at points where the longer text lacks some verses” (p. xvi.). The publication was made possible by a licensing agreement between Crossway and the Asian Trading Corporation. You can try ordering a copy of the ESVCE at the ATC website, but I didn’t have much luck. It has received official approval and Imprimatur from the Catholic Bishops Conference of India. Pretty soon, when you attend Mass in India, you will hear the ESVCE being read from the pulpit. I think it won’t be long before the ESVCE shows up in the hands of many Catholic Bible Students who are gathering in church basements, Catholic schools, Newman Centers and coffee shops for a good old-fashioned Bible study. The translation is solid, new and refreshing. I will be digging into it for more insights over time. The ESVCE could be a close competitor with the RSVCE/2CE. It’s hard to say which will win out or if they will live a peaceful coexistence. Bravo to the Indian bishop and to Crossway for gifting us with a powerful ecumenical collaboration that produced such a great translation. I think this new translation will be a blessing to many, many English-speaking Catholics. Once it is available for sale in the U.S. (or wherever you are), I recommend adding a copy to your Bible shelf! This entry was posted in Translation and tagged News, Translation on March 6, 2018 by catholicbiblestudent.